Join free & follow Switch! DORIAN, SKORE & NAYZ / MC&apos;S INJA & BOMBA @ SWITCH! 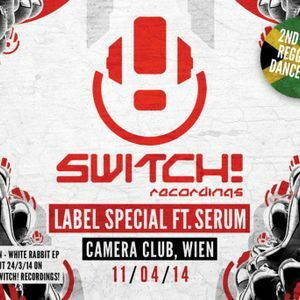 CAMERA CLUB 11/04/14by Switch! Supreme Being, Dj Rowney Recon, Lowriderz, Rene Lavice, Yatz and Saxxon. This show was 17th in the global jump up drum and bass chart, 82nd in the global jungle chart, 99th in the global drum and bass chart and 99th in the global dnb chart.